First Presbyterian Church is pleased you are considering joining us in worship. Whether you are a newcomer to the area or a long time resident, we invite you to join us and get to know our Church family. You'll see a church ready to welcome new faces. 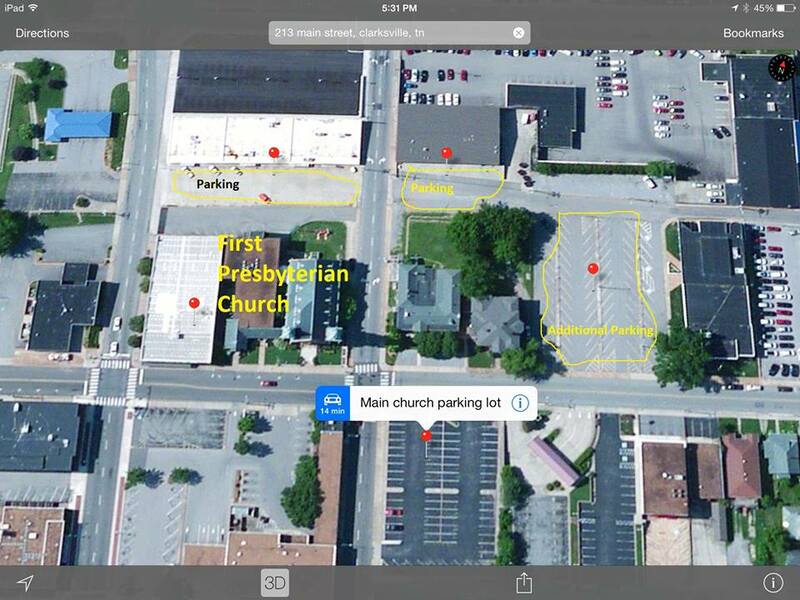 Click here for a map of the Education Building located adjacent to the church. Open parking map in a new window, or view map below. Some parking spaces are available right behind the church at the Masonic Lodge and across the street at the Activities & Outreach Center, with building access by the rear elevator or at fellowship hall. On Sunday mornings, the lot on the other side of the law offices on Main Street and the public lots on the south side of Main Street are also available. Open Google Maps in a new window, or view map below.